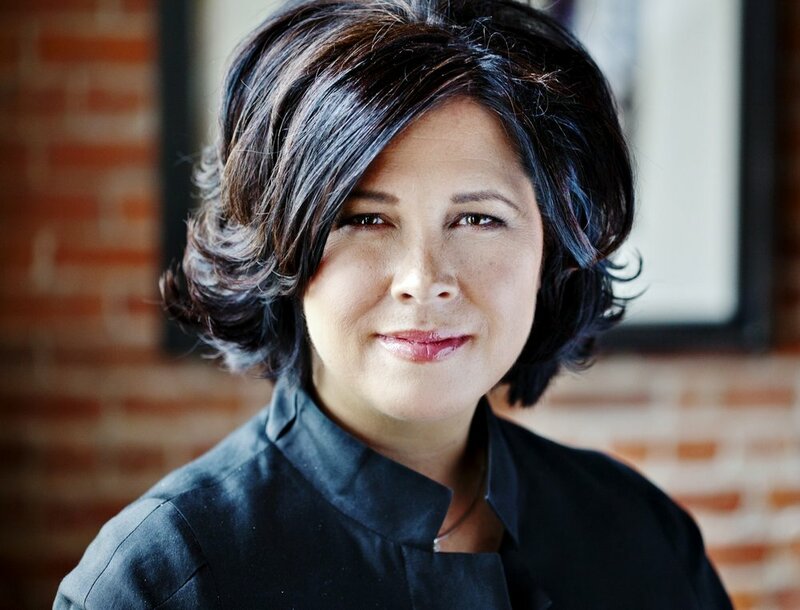 Diane Daych is a managing partner and co-founder at Granite Growth. She has more than 30 years of investing, advisory and operating experience, with more than 25 years of experience in the health services industry. Before founding Granite Growth, Diane led Apple Tree Partners’ healthcare services investing team. From 2010 to 2012, she was a managing director and co-head, Private Equity, of the Marwood Group. Previously, she was a partner and principal at CCP Equity Partners, where she invested in growth companies that offer specialized solutions for the financing, management and delivery of healthcare. Diane’s current investments include CleanSlate Addiction Treatment Centers, Narus Health, QualDerm Partners, TripleCare and Prism Education. She currently sits on the Board of Directors of TripleCare, CleanSlate, QualDerm, Prism, the Tuck School’s MBA Advisory Board and The Healthcare Private Equity Association. She previously sat on the Board of Directors of the Women’s Association of Venture and Equity, and she is the past president of the Hartford Chapter of the Connecticut Venture Group. Diane earned an MBA from the Tuck School at Dartmouth College and a BA in Economics from Lehigh University. Mary Flipse, SVP, Chief Legal and Administrative Officer & Corporate Secretary, Tivity Health, Inc.
Sharon Gabrielson is dedicated to enhancing the lives of consumers through health and wellness products and services. Recognized for her role in energizing innovative and creative market-driven solutions, she focuses on strategy and execution, leveraging portfolio strengths, engaging others in a vision, and taking calculated risks. She has extensive industry experience in technology, finance, human resources, insurance, mergers and acquisitions, and business development. As Chair of Global Business Solutions, Sharon is transforming an underperforming unit into the heart of Mayo’s business diversification and profitability. She directs the domestic and international new business development opportunities for commercializing the Clinic’s competencies to deliver service-based products to the B2B and B2C markets. Previously, as Vice Chair of Health System Administration, she led a $2 billion revenue generating organization of community-based practices through the transition from “fee for service” to “value based care”. She also led the design and implementation of the new governance structure for Mayo Clinic in the Midwest. In these roles, she was instrumental in developing a strategic plan for market penetration, scaling for growth and competing in a risk-based environment. Prior to that, Sharon rose to a leadership role as Section Head of the Division of Systems and Procedures, the company’s management, engineering and internal consulting function. Earlier she held administrative positions with the Olmsted Medical Center and LifeSource Upper Midwest Organ Procurement Organization. She began her career as an RN at Saint Marys Hospital. Julie Goon is the senior vice president of Public Affairs for Anthem, Inc., one of the nation’s leading health benefits companies. She is responsible for leading Anthem’s state and federal government relations activities, issue management and policy development, regulatory affairs, the company’s relationships with industry, state, and national associations and the Anthem Foundation. She served as special assistant to President George W. Bush for economic policy at the National Economic Council (NEC) from 2006 to 2009 where her portfolio included Medicare, Medicaid, and the CHIP program and tax issues related to health care. Ms. Goon joined the NEC after serving as director of Medicare Outreach and senior advisor to the Secretary of Health and Human Services for the U.S. Department of Health and Human Services from 2004 to 2006. Her previous roles include experience at the American Hospital Association and the Federation of American Hospitals. Ms. Grealy has a bachelor degree from Michigan State University and a law degree from Duquesne University. 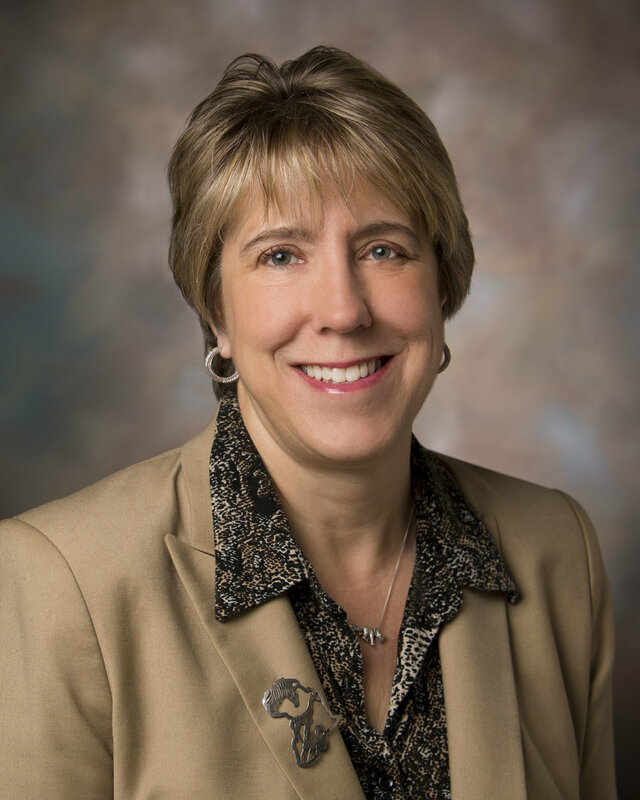 She serves on the Board of Directors of TeamHealth (NYSE: TMH) and Duquesne University. She serves on the advisory boards of Duke Health Sector Advisory Council and the March of Dimes Public Policy Council. Passionate about patient centered health care Christine is driven to transform clinical practice as we know it. Christine is a certified Pediatric Nurse Practitioner who received her Masters in Nursing from Boston College. She spent time practicing medicine in Massachusetts and Colorado before transitioning into the world of digital health. Christine started her health tech career at iTriage where she worked to build strategic clinical products and services. Christine joined Dispatch Health in 2016 to extend the capabilities of healthcare technology and disrupt healthcare delivery as we know it today. As the Director of Market Development she works to develop strategic partnerships and channel partner engagement within communities across the United States. Dr. Matheu co-founded Prellis Biologics in October 2016, with the mission to create fully vascularized human tissues and organs for transplantation. Her realization that the tiny blood vessels necessary for creating human organs could be replicated using the laser technology at the center of her PhD thesis work, led to development of the blended engineering and biology approach Prellis is using to solve the human organ shortage. Dr. Matheu is an expert in laser-based imaging of the immune system and developed Prellis' platform technology. She brings her multi-disciplinary experience in specialized laser microscopy, cell biology, physiology, and biophysics to address the unsolved biomedical challenge of rapid 3D printing of large, vascularized tissues. Mary Modahl is the Chief Marketing Officer and Senior Vice President at American Well Corporation. Ms. Modahl leads the company’s programs in employer, consumer and physician engagement in telehealth. Her prior experience includes the role of Chief Marketing Officer at QuantiaMD, a physician social network, and SVP Marketing and Government Affairs for Health Dialog, the disease management unit of UK-based Bupa Group. Prior to that, Ms. Modahl helped build Forrester Research, a publicly traded provider of technology advisory services, from its inception. She served for 15 years as the company’s Vice President, Research. Ms. Modahl is a seasoned research and marketing executive with more than two decades of cross-industry experience. She is widely quoted in national publications including The Wall Street Journal and the Boston Globe. In 2000, BusinessWeek named her to its "Top 25 in eCommerce" list. She is also the author of the HarperBusiness book, Now or Never: How Companies Must Change Today to Win the Battle for Internet Consumers. Ms. Modahl currently serves on the Advisory Board of Brodeur Partners, a strategic communications company and has served as Board Member for Yankee Group, a technology research company; and as a trustee for both Nashoba Brooks School and Esperanza Academy, a tuition-free middle school for girls in Lawrence, MA. Ms. Modahl earned her degree in economics from Harvard University. Dr. Kapila Ratnam joined NewSpring in 2007 and is a Partner of NewSpring Healthcare with over 20 years of healthcare experience. Prior to joining NewSpring, Dr. Ratnam worked in the health sciences division at PSI International, a firm that provides outsourced services to the pharmaceutical industry and government health service agencies. Before PSI International, Inc., she served as a strategy consultant to early stage pharmaceutical services and biotech companies; and worked in R&D at GlaxoSmithKline Pharmaceuticals, a global healthcare company, that researches, develops and manufactures innovative pharmaceutical medicines, vaccines and consumer healthcare products. Dr. Ratnam’s current and former Board roles include Paragon Bioservices Inc., Putney, Inc., Corridor Pharmaceuticals, Inc. and Interpace Diagnostics Group, Inc. (NASDAQ: IDXG). Dr. Ratnam received an MBA from Columbia University and a Ph.D. from The Ohio State University. Carolyn Yarina manages Sisu’s strategy, business development, and fundraising. Carolyn has raised over $1M of investment from multiple investors including Steve Case (founder of AOL) and Camden Partners. She has received numerous awards including first place in South by Southwest Eco’s Social Impact Category, won Baltimore’s Rise of the Rest with Steve Case, and was a 2016 Tedx Mid-Atlantic speaker. Prior to Sisu, Carolyn founded a medical device non-profit working with rural mobile clinics in India. She raised over $100k in cash and in-kind services and was featured in Entrepreneur Magazine and Business Insider. While getting her Chemical Engineering Degree at the University of Michigan, Carolyn was named Entrepreneur of the Year for her first company. Aimee Corso is an accomplished marketing and communications executive with a passion for innovation that enables people to lead healthier, happier lives. She began her career at the research bench where she learned the importance of communication to launch new ideas and help innovations take hold. Following that, she consulted with some of the healthcare industry's largest global brands such as Pfizer, Johnson & Johnson, Medtronic, Humana, Tenet and Target, and also with top start-ups who have delivered life-saving breakthroughs. Her experience crosses silos, and she’s worked with providers, payers, medical devices & diagnostics, pharmaceuticals, biotech, HIT and consumer brands. Aimee credits her roles in hospital administration with her perspective on what the front lines of care look like and the needs and wants of audiences across the healthcare ecosystem. She prides herself on a bias for action, results and collaboration. 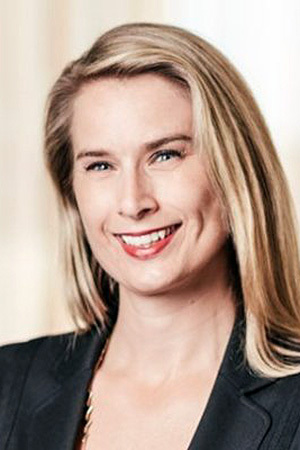 Evelyn Orr is the Vice President and Chief Operating Officer of the Korn Ferry Institute, based in the Firm’s Minneapolis office. Ms. Orr specializes in translating research on leadership and organizations into practical resources for leaders. She has authored several articles and books published by the Korn Ferry Institute. 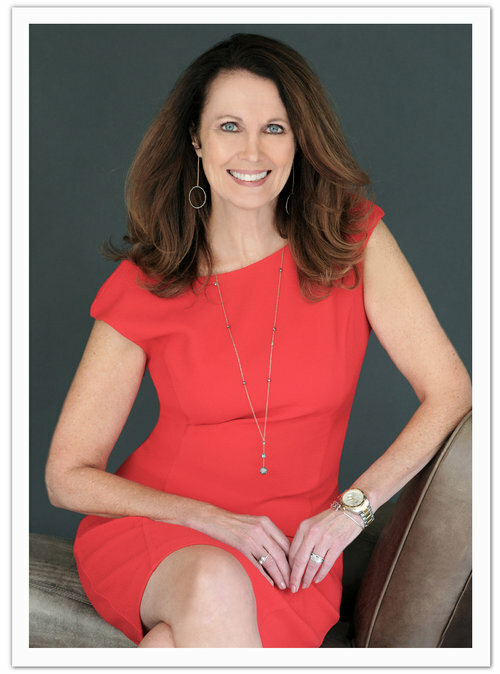 With more than fifteen years of experience in talent management including competency modeling, interviewing and selection, engagement, leadership development, team development, and succession planning, Ms. Orr has worked with many Fortune 500 organizations from the consumer, financial, industrial, and technology industries. Prior to joining Korn Ferry, Ms. Orr served as director of learning and development at a large retailer with multiple brands. The leadership development programs she designed have helped thousands of leaders move the needle on mission-critical skills. In addition to leadership development and competency profiling, she designed and delivered talent management solutions such as employee engagement, performance management and succession planning for a major division within the company. As part of her role with the Korn Ferry Institute, Ms. Orr leads the research and development teams which are responsible for analytics, assessments, thought leadership, and new products and resources for Korn Ferry’s clients. Ms. Orr earned a master’s degree in education from Stanford University, where she was a Stanford Graduate Fellow, and a bachelor’s degree in psychology (with honors) from Macalester College. As an adjunct professor, she taught graduate level courses at San Francisco State University and Dominican University. Ms. Orr is fluent in English and proficient in Spanish. Lauren Steingold is the Senior Strategist driving Uber’s global efforts in healthcare. Lauren works with healthcare partners to leverage Uber’s technology platform and vast driver-partner network to improve access to care. Prior to her role at Uber’s San Francisco Headquarters, Lauren helped launch Uber in Miami, Boston, and Rhode Island. 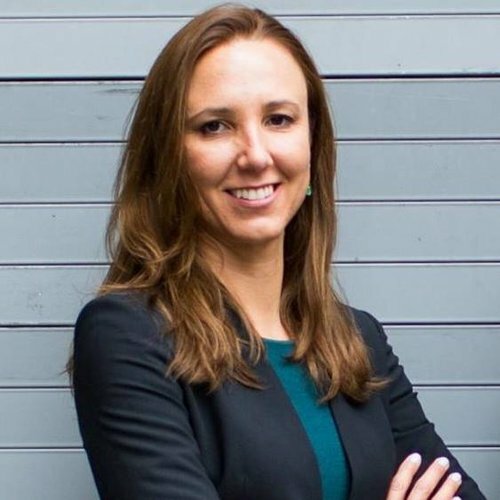 Lauren spearheaded Uber’s on demand flu prevention campaign, where riders were able to receive a flu shot from a nurse in 2014, 2015, and 2016 nationwide. The initiative won an Immunization Excellence Award for Innovation at the National Influenza Immunization Summit in 2015. Before joining Uber, Lauren held roles at Allen & Gerritsen, an advertising agency in Boston, and the Institute for Healthcare Improvement in Cambridge.